Hey, I believe I had disability insurance with our home owners insurance. Wel,, my husband did become perm. 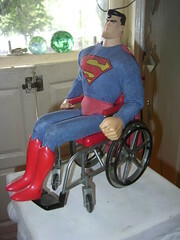 disabled, and remained that way for 4-5 yrs prior to his death. Becuase of the disability, we did lose the home. Is it possible to go back and collect now even though the policy is not in effect any longer? Marie – Just the disability insurance will not have mortgage protection coverage. Did you guy mortgage cover with the insurance? Please call them and check if you had the coverage.